Easter Sunday 2018 falls on April 1, 2018. It's no April Fool's day joke that Doc Bales' Grill is hosting the best Easter Brunch in Daytona Beach. Oceanfront dining, kids' petting zoo, bounce house, and fun activities will be experienced by all guests. The enhanced Easter brunch buffet served at Doc Bales' Grill will feature breakfast options like a build-your-own omelet station, fresh fruit and muffins. Mid morning breakfast options include fresh spring mix greens, caprese salad, smoked seafood and antipasto displays. Lunch entrees will be pan-seared salmon or chicken, stuffed leg of lamb, herb rice pilaf, pastas and casseroles. Plus, a carving station of fine meats and a dessert bar will be available. 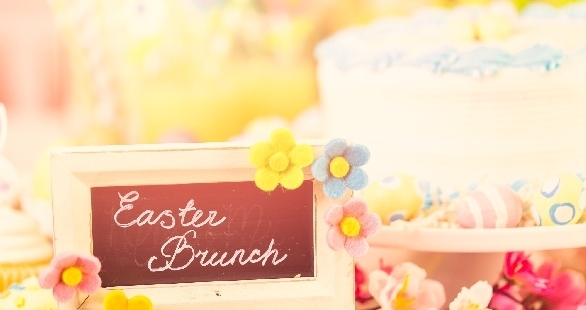 Make your reservation today for a divine oceanfront Easter Brunch in Daytona Beach. Cost is $47++ Adults | $19++ Children ages 5-12 years. Call (386) 947-8054 to make your reservation today.